A great hole with a double dog-leg, two steep drops in elevation and a hill in the middle. But before you take it on, pause to take in the view stretching away into Gloucestershire and Worcestershire. 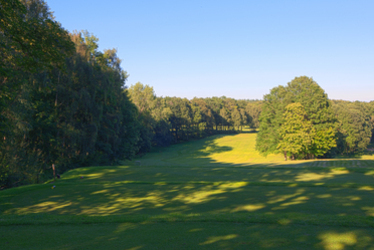 The green does not come into view until the second dog-leg and reaching here in two, leaves the player a short shot to a large green with a step running through front to back.